If you could meet anyone in the world, living or not, who would it be? An interesting, thought-provoking question. Even though it is not a behavioral question, it has an advantage for the interviewer. Specifically, few, if any, candidates will have a prepared answer. This question is not among our Top Entry Level Interview Questions. It is a one-off. So the question can show how quickly a candidate can formulate an answer to a question for which they have not prepared. The candidate was a Finance grad interviewing for a job with a Wall Street investment bank. So a typical answer would be to select someone famous in finance in history. And be prepared for the natural follow-up question: And what questions would you like to ask that person? A prepared interviewee might choose someone current like Warren Buffett or Jamie Dimon. Or perhaps someone from history such as Mayer Rothschild or JP Morgan. But that's not how she answered. She said the one person she would love to meet was her grandfather, who died before she was born. When she told me that is how she responded, my initial reaction was to wince. Oops, that answer was not a good one. Right? Yet she went on to explain that her grandfather had started in public accounting and had eventually progressed to become Chief Financial Officer (CFO) of the company he worked for most of his career. She would have loved to ask him about how he progressed throughout his career and his love of finance and numbers, which they shared. Many family members had said they were so much alike in that way. She was sincerely responding that she would love to meet him. So you might be thinking as well that she failed that answer. Yet she was sincere and passionate in how she answered. And, in doing so, her passion for working in finance came out brilliantly. The moral to the story is that she got it right for her sincerity, even though she was unprepared to answer the question. 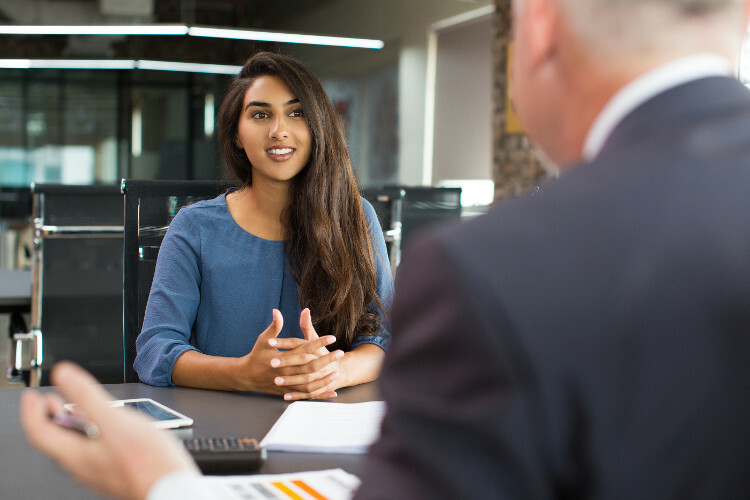 Rather than playing an insincere "expected" answer which would be difficult to back up with specifics, she gave an honest and sincere answer to the interviewer's question. And her enthusiasm in how she answered helped carry her through what others might critique for content. Does this mean that you do not have to prepare? That it's better to just wing it? No. You still need to be as prepared as possible. Yet you also need to realize that there can and will be questions for which you do not have a prepared answer. So when you are sitting in the interview hot seat and a question comes your way for which you are not prepared, answer with sincerity. Take your time, go into the details and work your way through the question. If you can tie it back to the job, the employer and your competencies, do so. But first and foremost, be sincere. What if You Don't Know the Answer to an Interview Question?